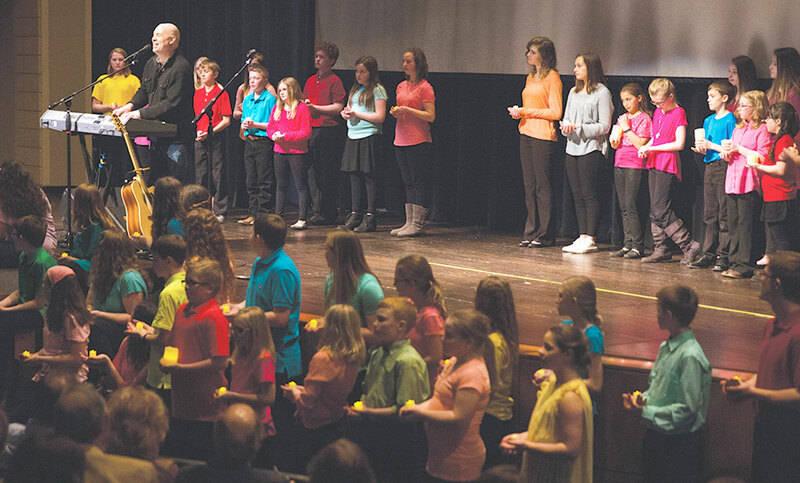 The Gift of Hope concert is set for March 23 and will include two shows at 3 and 7 p.m. this year. The shows will be hosted at the O’Gorman Performing Arts Center, Sioux Falls. The Gift of Hope concert supports the work of Catholic Family Services. Returning this year for the concert is Christian music performer and Dove award winner Mark Schultz. Schultz said he is excited about returning to the diocese for the concert. “I had such a great time last time. I was honored to be invited back,” Schultz shared during an interview with Catholic Views, the diocesan radio program. Tickets can be purchased by calling 605-988-3765, by visiting ccfesd.org or at all Sioux Falls Hy-Vee locations. The concert supports Catholic Family Services’ Gift of Hope Fund for people of all faiths, ages and walks of life who experience grief, despair, abuse, loss or pain of separation. All can receive help, hope and healing from the ministry of Catholic Family Services. Concert-related expenses are financially sponsored or donated, allowing 100% of all proceeds to go to the benefit of the Gift of Hope Fund. Mark Schultz with the children’s choir during the 2017 Gift of Hope Concert.